That the Frank of The Book of Frank is an extension of Conrad’s life no one acquainted with the poet can have any doubt. And yet Frank is an alter ego at best, if not evidence of what John Keats referred to as a personification of “negative capability." Only whereas Keats' negative capability allows one to remain in uncertainty about their world as an object of the understanding, Conrad's own negative capability is capable of luxuriating in the mysteries of the subject. In all of the poems of The Book of Frank, Conrad’s reader is confronted with the violence of the poet’s imagination, which puts certain facts and perceptions from the poet’s experience into violent negotiation with power itself. At the polar ends of this book are absolute power—a kind of meglomaniac vision of Frank in his universe—and a compassion both innocent and world weary, dysfunctional and loving. Reading The Book of Frank I am also reminded of Emily Dickinson who, like Spicer, imagined a readership of acephalics—bodies with their heads cut-off. Why, if not out of recognition of his immense powers, does Conrad like Dickinson and Spicer before him go straight for the head? Because it is the vehicle of all apprehensions of vision? Because comprehension must cease its own tyranny over the body, and therefore those less followed paths of desire the consummate poet takes? Such are the treasures knocked out of our heads by this beautiful, concise and visionary book. *from The House That Jack Built, ed. Peter Gizzi. One of my favorite presses is having a Boog City event. Check the "one-night only book sale" too! Atelos was founded in 1995 as a project of Hip's Road, devoted to publishing, under the sign of poetry, writing which challenges the conventional definitions of poetry, since such definitions have tended to isolate poetry from intellectual life, arrest its development, and curtail its impact. hose that would separate theory from practice, poetry from prose, essay from drama, the visual image from the verbal, the literary from the non-literary, and so forth. The Atelos project when complete will consist of 50 volumes. Jennifer Karmin performing selections from her text-sound composition aaaaaaaaaaalice with Tisa Bryant, Jennifer Firestone, and a few surprise guests. FLIM FORUM PRESS provides space to emerging poets working in a variety of experimental modes. 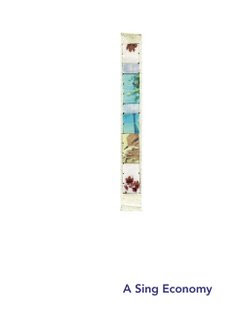 Flim Forum volumes include two anthologies Oh One Arrow and A Sing Economy, and just out, The Alps by Brandon Shimoda. Here is a video I made with Dorothea Lasky for her reading with Filip Marinovich this past Friday in Brooklyn. The Right Side of the Sun from Dorothea Lasky on Vimeo. Also check out Dottie's animal lecture.